This shy animal is rarely seen in the lower 48 states. There is no need to fear this wild feline. The Canada lynx (Lynx canadensis) is a mammal with a diet consisting mostly of snowshoe hares. They also hunt cottontail rabbits, rodents, birds, and the occasional deer. Similar in appearance to the bobcat, the lynx is larger and has very big feet that allow it to travel on top of snow, useful in hunting its prey. 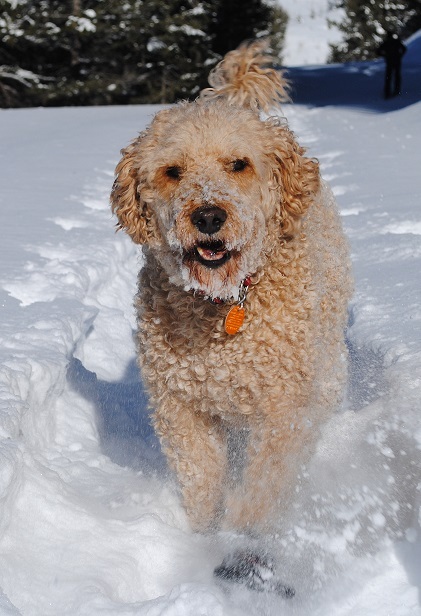 It weighs from 18 to 24 pounds, and measures 19 to 22 inches at the shoulder (making it about the same height, and half the weight, of a standard poodle). 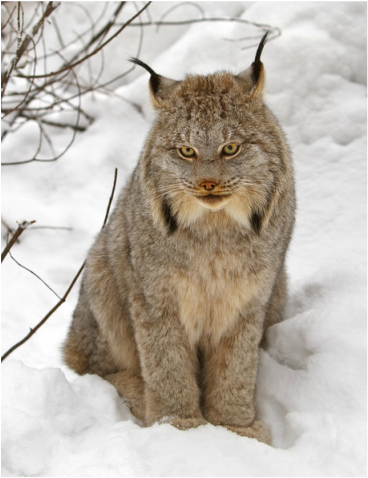 Rare in the lower 48 states, the Canada lynx was re-introduced to the San Juan Mountains of Colorado some years ago. Still, sightings of this shy animal are rare and you would be extremely lucky to see one. Find out more about the lynx at wikipedia. Canada lynx. Photo by Michael Zahra. Not a lynx. Visually, a standard poodle is the same size as a lynx.